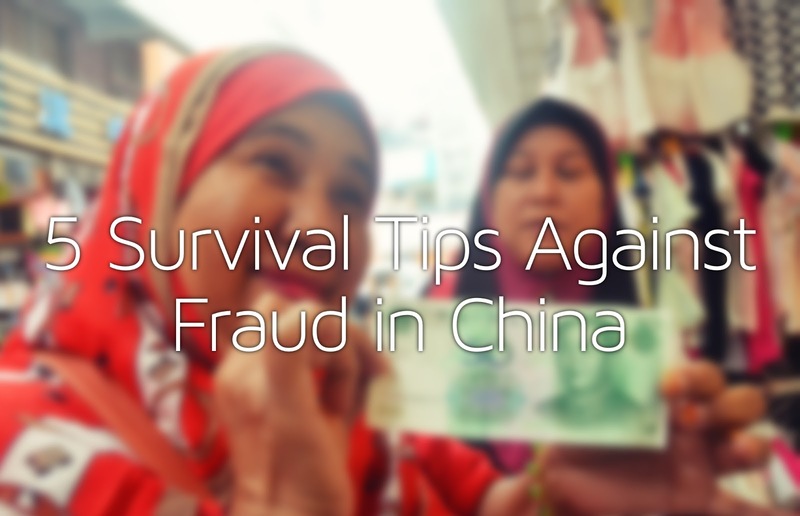 Fraud and scam are not something alienated in China. As the country has largely emerged to become a wealth-oriented society, you may expect the stress among locals have gotten worse that it seems on the media. Hence, fraud activity (especially direct cash transaction) has been popularized far before recent years. New travelers that plan for either a brief or long stay should definitely adapt to these few tips. Never assume that you are in safe position. Scammers in China are everywhere, even in the malls. Best practice to avoid yourself from getting overcharged is to compare the item you intend to purchase with neighbor stores. Let yourself on a stroll around the floor before settling down with one single store. One of many mistakes made by the first-timers is to let themselves being fooled with fake Yuan bill. Hence, it is essential to study the look, size, image, color and texture of Chinese money. During my first travel experience in China, I was tricked by an old lady in Beijing Summer Palace to believe that she actually handed me the right Yuan bill. After showing it to my Russian friends, they said that was actually an outdated version of fifty Russian Ruble. Even if the money was valid, it was still twenty times lesser that what I was supposed to get. A following step to avoid the previous taboo, is to provide small amount of cash on any direct transaction. It is much safer this way. If you somehow too lazy to do so, there's a chance that you will receive a stack of nearly crumpled cash, with short of amount as change. No joke on this. It happened before. Any person with obvious foreign traits or personality will always be the primary aim by the scammers. The best way to avoid that is to be firm when dealing with them. Stay sure with the price you're proposing (even if you have no idea whether it is the right one or not) and talk it through. If possible, act like you've been around the place for quite some time and you know that they're bluffing. The final step in a direct transaction - to hand over the cash. But before doing that, do make sure that the price offered is finalized. There were few cases I encountered where the store-keepers acted as if they didn't hear the final price I asked for. There were also travelers who had to argue with store-keepers after handing over the cash. The reason being was miscommunication.